From health to housing to insurance, a primer on the effects of and possible solutions to the worsening California wildfires. When fires rage in California’s mountains, the system that stores and cleans water, feeds streams and rivers, supports fish and other wildlife and literally holds the hillsides together burns up. Forests are watersheds, a critical component of California’s water supply. • Trees hold water in their limbs, roots and soil and draw it into underground aquifers, a source of drinking water. • Meadows on lower slopes filter and clean water. • Tree loss after fires fosters soil erosion; the runoff clogs waterways. • Unstable hills can threaten public safety with landslides and mudslides. The state has exceeded projected fire suppression costs in 7 of the last 10 years. In 2018, California spent nearly $1 billion on fire suppression and emergency response, far exceeding the budgeted $450 million. Residents have a responsibility to create a defensible space around their property and “harden” homes to make them fire resistant. California law requires creating a buffer by clearing out trees, brush and grass within 100 feet around homes in wildfire-affected areas. Fire officials say it can increase the likelihood of a house surviving a wildfire eight-fold. In addition, homes with wood or shingle roofs are at high risk of being destroyed. Consider materials such as composition, metal or tile. Under new law, investor-owned utilities must prepare wildfire mitigation plans that describe what they are doing to prevent, combat and respond to wildfires. 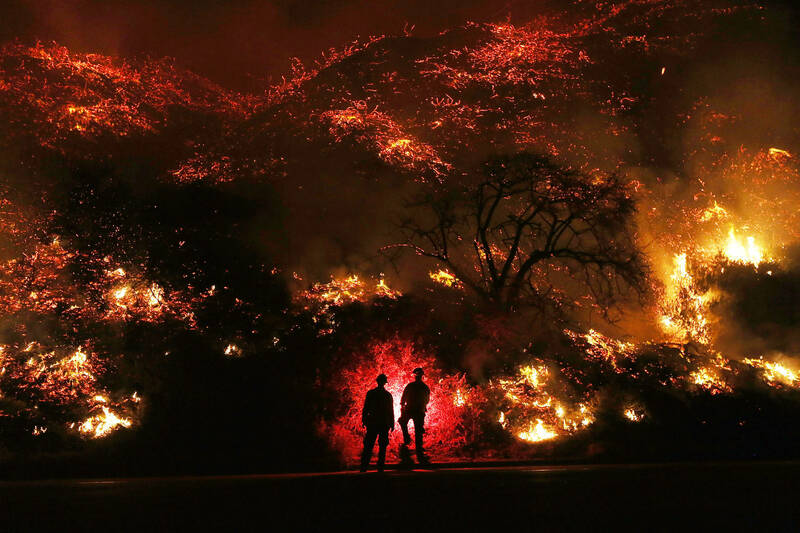 The three largest utilities, Pacific Gas & Electric, Southern California Edison, San Diego Gas & Electric, all plan to spend millions clearing brush and trees away from transmission lines, insulate or underground power lines, and install or maintain a network of remote cameras and weather stations to detect wind, smoke and other dangers. Thirty-four percent of new housing units in California were built in what experts refer to as the wildland-urban interface—where the state’s cul-de-sac’d suburban subdivisions and rural communities meet its flammable forests and shrub landscapes. With more and more residences sprouting on the edge of wildlands or deep in narrow canyons, fires become an inevitability, an ever-larger and more challenging front for firefighters to defend.